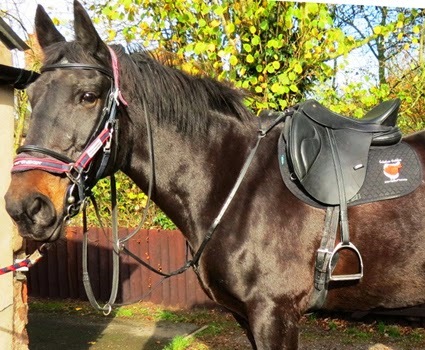 Solution Saddles Customer Stories: Solution of the month March 2015 - Margi Haslop is delighted with her SMART saddle that she uses on two very different horses. Solution of the month March 2015 - Margi Haslop is delighted with her SMART saddle that she uses on two very different horses. 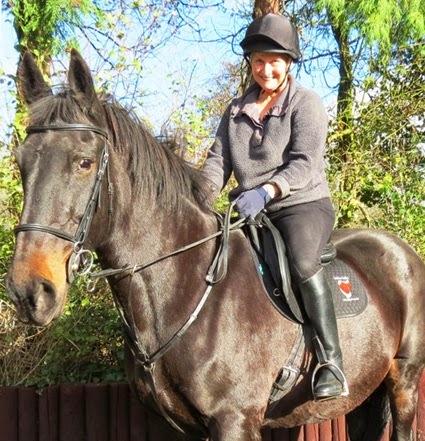 “I have recently bought a SMART saddle and am absolutely delighted with it. I had a Solution Saddles Approved Advisor out to demonstrate the system to me and I was impressed with her great patience and skill. I have two horses that the saddle is used on and it also fits me very comfortably. Jack is a sensitive “project” horse with high wither; already I find him to be far more relaxed, more supple and at ease under the saddle. 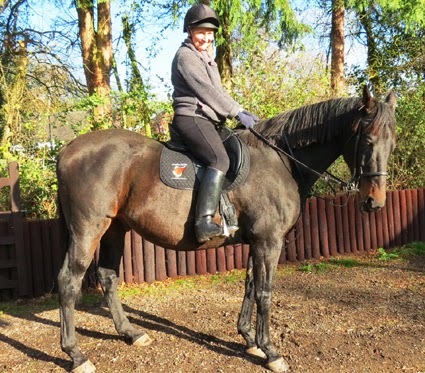 Milly, a retired hunter, uses the same saddle with different balance pads and she too seems far more comfortable and free moving under saddle. Milly, Jack and I are enjoying our rides thanks to the decision to come away from a rigid treed saddle and to invest in a SMART saddle - which is a saddle for life, whichever horse I ride, now or in the future. I wish I had discovered Solution Saddles years ago!